Show the affect of air resistance by dropping different weights and shapes from a height. 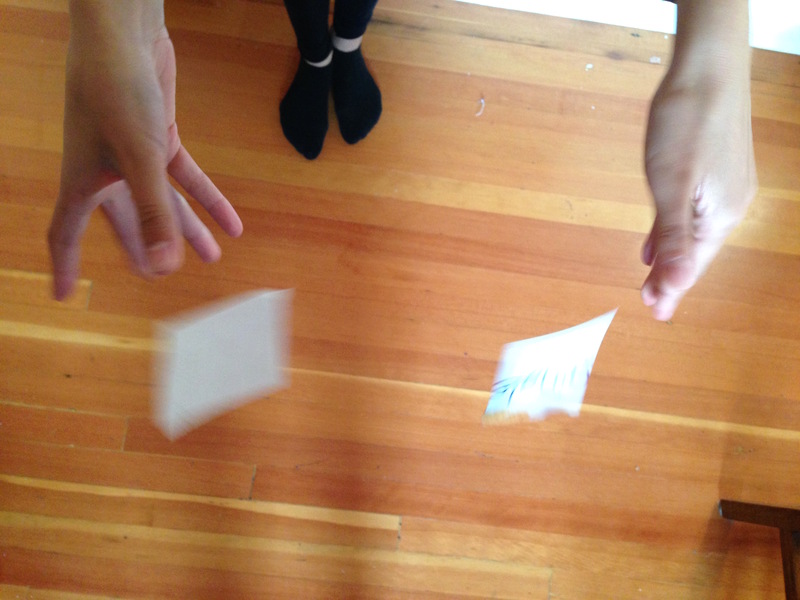 Drop pairs of objects from the same height, and record which hits the ground first (do three trials for each). In a group discussion compare the objects of the same shape (e.g. chopstick, pipe cleaner and straw e.g. 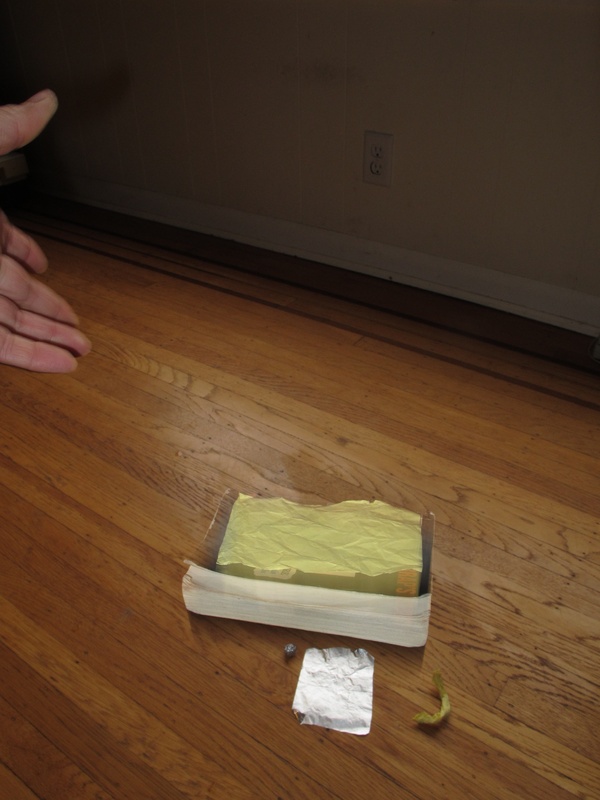 square of wood, cardboard and paper of the same size) - which will likely fall fastest to slowest in that order. Ask why one falls faster than the other - students will think of weight. Weigh and record the items weights (we had chopstick 3g, pipcelaner 1g and straw 1/2g of one shape, then a wood tile 37g, cardboard square 3g and paper square 1/2g). Compare objects of the same weight, but different shapes (e.g. 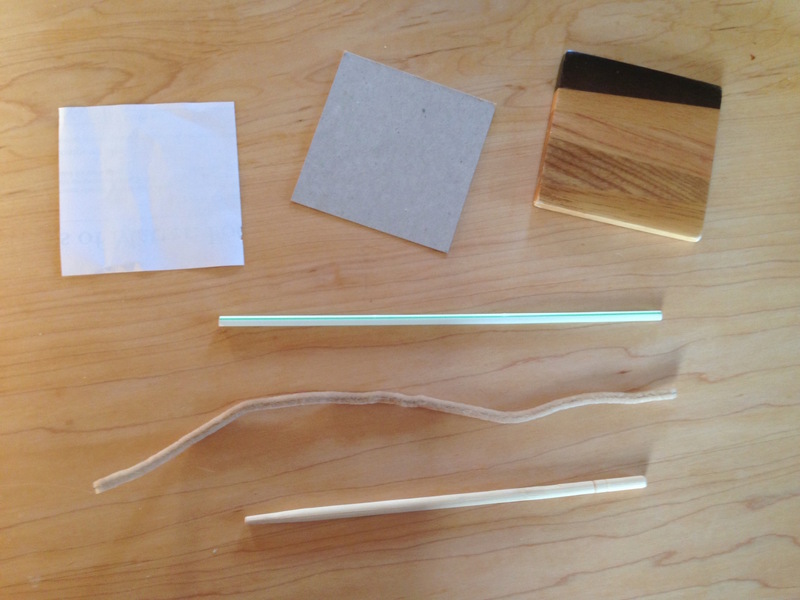 chopstick and square of cardboard, or paper and straw). They are the same weight so have the same force of gravity acting on them. Ask students why they fall at different rates - their shapes: the cardboard/paper is flatter, so hits more air molecules as they fall which push back up on the object to slow it down. This is called the force of air resistance (a kind of friction). The narrower chopstick or straw have less air resistance. Compare objects of the same shape, but different weights. The heavier objects will have a greater force of gravity pulling down on them. All of them have air resistance pushing up on them, to about the same extent as they are similar shapes. (Actually as the heavier object speeds up, it will hit air molecules at a faster rate and air resistance will increase, but at our drop heights, the greater force of gravity predominates. Summary: as an object falls , the force of gravity on the mass (called weight) and the force of air resistance pushing up (which depends on the shape) are both acting on a falling object. The rate that it falls is determined by how those forces balance out. For objects falling from a very high height, they will keep speeding up as they fall, until they are moving so fast that the air resistance is large enough to balance the force of gravity. Then they have reached terminal velocity. In many sports, we design equipment and shape our bodies keep air resistance, also called "drag", to a minimum e.g. bike racers bend down to reduce air resistance and bike one behind the other to be sheltered from air resistance e.g. a bobsled is shaped to be as streamlined as possible, so reducing air resistance. e.g. skiiers and speed skaters wear suits that are very smooth, so reducing air resistance. In some sports e.g. parachuting, we use air resistance to our benefit so that we do not land on the ground too fast. Drop the paper on top of the heavier wood tile (or a small book). The paper will stay with the book and fall faster than on it's own. The paper experiences no air resistance because it is on the book, so falls as fast as the book. The book falls faster than paper because it is heavier - the weight of the book overcomes air resistance. Replace the wooden tile (which is loud on a floor, and breaks after a while), with a square of carpet tile.